Aric Almirola, driver of the No. 10 SHAZAM!/Smithfield Ford Mustang for Stewart-Haas Racing (SHR), makes his second short-track start of the season this weekend at Bristol (Tenn.) Motor Speedway. After finishing seventh last weekend at Texas Motor Speedway in Fort Worth, the No. 10 Ford team extended its streak of top-10 finishes to six and feels on the verge of a win this weekend at The Last Great Colosseum. A departure from last weekend’s high speeds at Texas, Bristol provides a completely new style of racing that challenges drivers both physically and mentally. Racing in the Monster Energy NASCAR Cup Series, NASCAR’s most elite level, takes an elite level of physical and mental stamina. When Almirola isn’t in a racecar, he can usually be found cycling or working out. During the plane ride back from the previous race or down time between practice sessions, you can find him studying film from his last race, or in conversation with his crew chief Johnny Klausmeier or his engineers to find out how they can improve. His diet consists of high-quality Smithfield Food proteins combined with foods with other key vitamins and nutrients that help fuel his mind and body for the grueling race weekends. While the 35-year-old trains like a superhero to stay in peak conditions, he’ll have a superhero adorning his No. 10 Ford this weekend at Bristol for the second time this season. SHAZAM! is a DC Comics movie opening nationwide April 5 that is based on a streetwise 14-year-old who can magically transform into the adult superhero Shazam simply by shouting out one word. His newfound powers soon get put to the test when he squares off against the evil Dr. Thaddeus Sivana. Like at Martinsville two weekends ago, when the SHAZAM! scheme first appeared, Almirola hopes his superpower this weekend will once again come in the form of Roush Yates Engines horsepower. This season, Almirola has earned one pole, one top-five finish, six top-10s and has led 72 laps – surpassing his previous best over a season’s first seven races. He has one top-five and three top-10s in 19 starts at the high-banked, .533-mile Bristol oval since 2007. His best finish at Bristol was third in the Food City 500 on March 16, 2004. 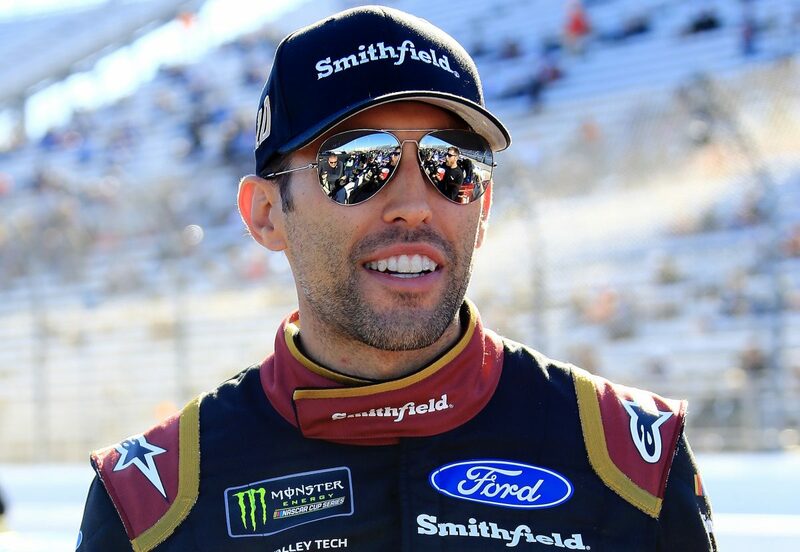 In addition to his Cup Series experience at Bristol, Almirola has seven NASCAR Xfinity Series starts with four of those resulting in top-10 finishes. His previous short-track race this season was at Martinsville, where he started second, ran inside the top-five for the majority of the race and earned his first Martinsville top-10 with SHR. Ford’s third of three wins this season was at Martinsville two weekends ago. The No. 10 SHAZAM!/Smithfield Ford team heads to Bristol fifth in the season standings – 65 points behind the leader. How does Bristol’s track surface change during the race? How have Ford and Roush Yates Engines been and a key element to your consistent runs this season?